record researcher reactions to the source. You will need to follow the specific guidelines, including the format (MLA, Turabian, etc. ), set by your teacher. In the case of National History Day (NHD), the contest rule book states that the annotated bibliography “must explain how the source was used and how it helped you understand your topic.” Review NHD Rule Book rules 16 and 17 copied below. An annotated bibliography is required for all categories. List only those sources that contributed to the development of your entry, i.e., sources that provided usable information or new perspectives in preparing your entry. Sources of visual and audio materials and oral interviews must be included. Bundle photos or other materials from the same collection in a single citation. The annotations for each source must explain how you used the source and how it helped you understand your topic. Your annotated bibliography is not included in the word count. For example: Bates, Daisy. The Long Shadow of Little Rock. New York: David McKay Co. Inc., 1962. Daisy Bates was the president of the Arkansas NAACP and the one who met and listened to the students each day. This firsthand account was very important to my paper because it made me more aware of the feelings of the people involved. NOTE: Oral history transcripts, correspondence between you and experts, questionnaires, and other primary or secondary materials used as sources for your entry should be cited in your bibliography but not included as attachments to your bibliography. You are required to separate your bibliography into two sections: one for primary sources and one for secondary sources. NOTE: Some sources may be considered as either primary or secondary. 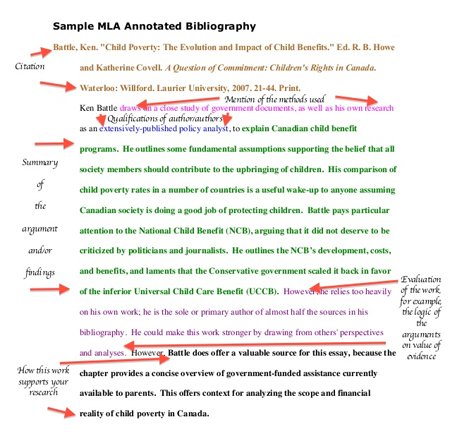 Use your annotations to explain your reasoning for classifying any sources that are not clearly primary or secondary. Listing a source under both primary and secondary is inappropriate. Unlike Cornell University, NHD nor the Chicago Metro History Fair expects to see 150-word annotations! Approximately 50 words can create a solid annotation (see sample above). Students are advised to stay within 75 words. Annotated bibliographies are available on the History Fair website.